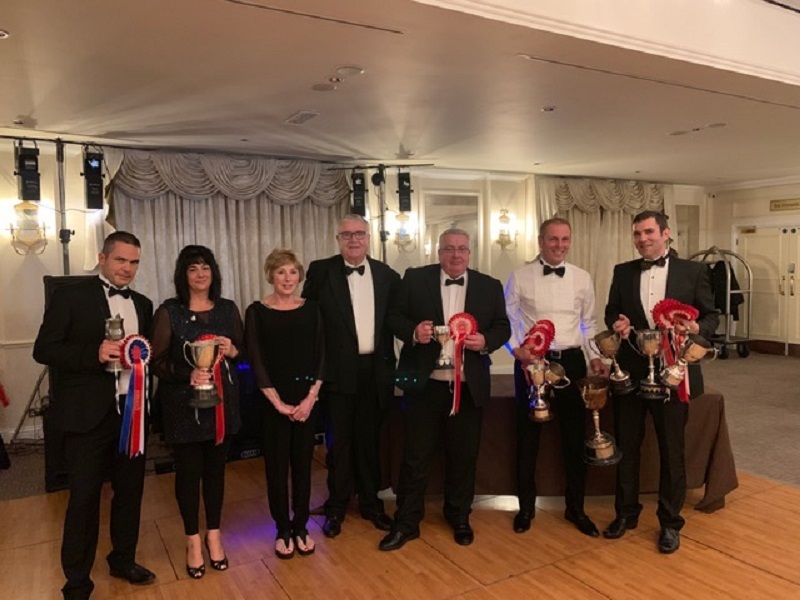 The Anglian Turkey Association has met in Suffolk for its banquet and show with around 140 farmers, their employees, suppliers and friends. The evening included the long-standing, competitive show of turkeys, with the Championship prize going to Cottage Farms from Cudham, Kent for their oven-ready bird. It also featured the presentation of The Goodchild Trophy, recognising outstanding contribution to the sector, this year awarded to Chris Frederick from Roydon, Essex. The Frederick family has been producing turkeys at Temple Farm for 50 years, selling to butchers across the country and at the farm gate. Before handing over the trophy, ATA President Derek Kelly highlighted Chris Frederick’s leadership of the Traditional Farmfresh Turkey Association. The show was judged by David Brandon, who has previously farmed turkeys in Lincolnshire. The first three classes went to entries from Phillip Hunter of Yew Tree Farm, Fressingfield, Suffolk. This included large stag, small hen and medium hen. The next three prizes were collected by Steve Childerhouse of Great Grove Poultry, Attleborough, Norfolk. These classes were for a large hen, brace of white birds and brace of bronze birds. The trophy for best oven-ready bird went to Cottage Farms, who also won the keenly-contested final class Novelty Turkey. This year entrants marked 100 years since the Great War and, as usual, they let their imaginations run wild. The event also raises money for different charity each year. The beneficiary was Riding For The Disabled, who were presented with a cheque for £1,000. The ATA thanked Kelly Turkeys for providing the turkeys for the meal and Hockenhull Turkeys, who gave £250 to the championship bird.